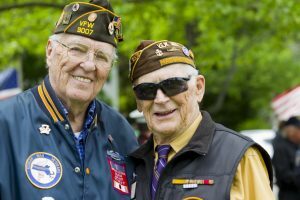 Military veterans are particularly successful at managing franchise businesses because of their disciplined behavior and adherence to strict protocol, which is somewhat similar to following a franchisor’s guidelines. It’s not surprising then that veterans own one out of seven franchises in the U.S., including franchises in the healthcare industry. It’s even one of the more common types of franchises they take as they are most likely familiar with how the system works for those who require medical care. Senior Helpers’ homecare franchise opportunities are just some of the best options for running a healthcare business, especially since Americans spend a significant portion of their money on medical expenses. Healthcare spending in 2016 reached $3.3 trillion, or nearly $10,350 per person. This figure placed the country as the top spender for medical services in the world. Critical illness accounts for 50% of expenses with $104,515 of per-capita spending. It would take a while to crunch these numbers and find out how much you can earn from a specific market, but it is apparent that a healthcare franchise is a promising venture. Veterans are perfect candidates for franchisees not only because of their ability to follow a routine, but also due to their leadership skills. Any kind of business requires someone who can effectively manage a team, after all. However, the real advantage of owning a franchise involves different incentives for them. Many franchisors offer a 10% discount on their franchising fees as a way of helping veterans in adjusting to civilian life. The government also has several programs designed to assist them in buying a franchise. Veterans should consider a franchise as a good source of income. It also helps them to get back on their feet, while still applying the skills they learned in the military to the business world.